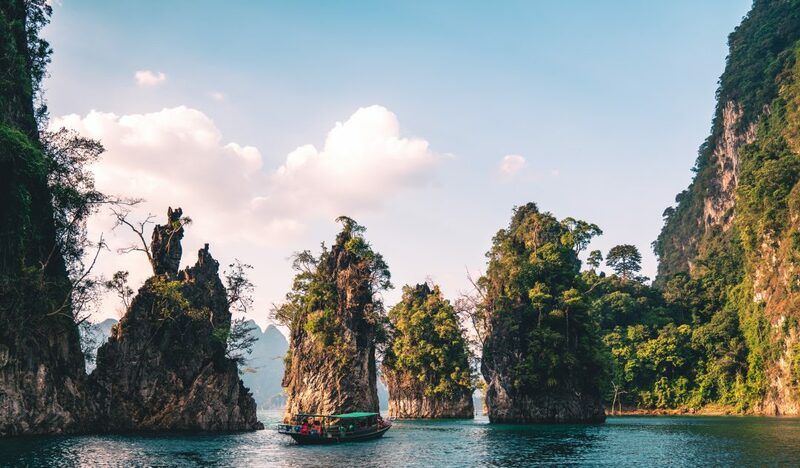 Khao Sok National Park may not be the first thing you think about when you hear Thailand. 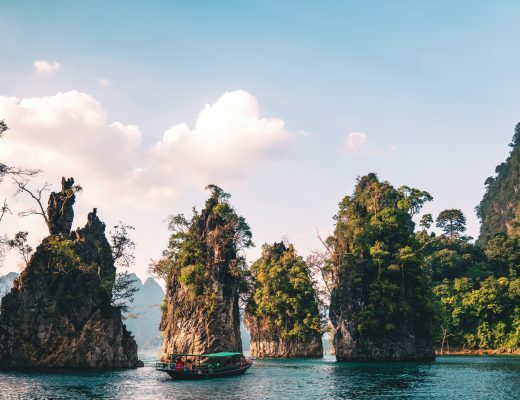 Temples, street food, ping pong shows, pearly white beaches and bounty islands sound better to your ears, but Khao Sok National Park should be on your to-do when you visit the backpack country. I’ll tell you why. How do you get to Khao Sok National Park? Reaching Khao Sok National Park from Bangkok gives you the most options. 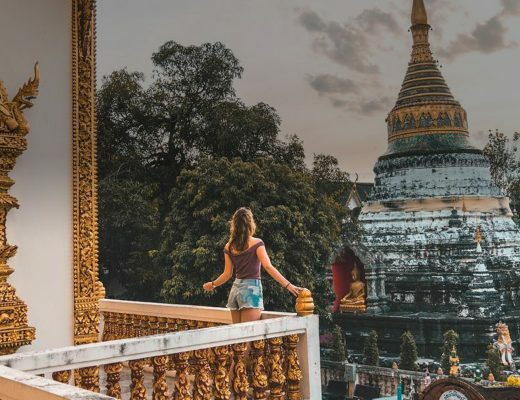 Known as the backpacker country of the world, Thailand gives you the option to go anywhere through the vast country. 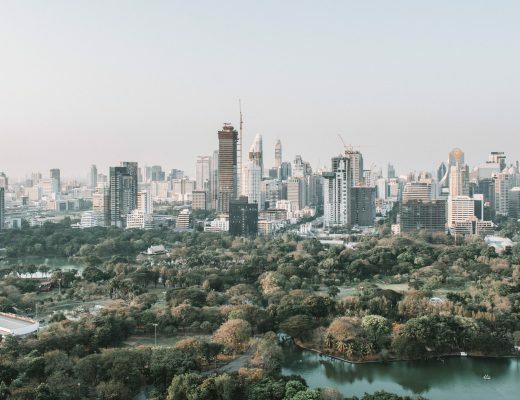 From Bangkok, you can fly to Surat Thani, Phuket and Krabi and book a minivan to Khao Sok. Flights cost anywhere between €50 and €150 depending on when you book. I therefore advise you to book at least two weeks in advance, otherwise it can reach €200 in a heartbeat. 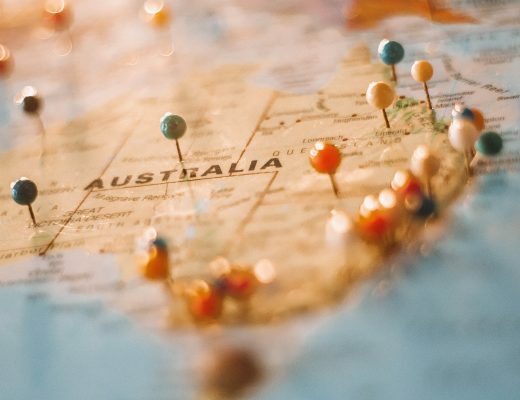 Are you the price-conscious backpacker trying to split every penny? If so, you can rely on train or bus. A very cheap option is the bus and varies between €25 and €30. Spending your night in a bus in Thailand can be reasonably comfortable and has seats in which you can sleep. Your only disadvantage? Feeling like a trainwreck when you wake up. The night train is probably the best inbetween solution. You can sleep reasonably comfortable and the price is around €25. The only disadvantage is that you have to book in advance. All tickets were sold out during our period in Thailand. So be sure to take that into account! We left from Chiang Mai to Khao Sok. Like Bangkok you have a range of options to reach Khao Sok. We had an afternoon flight for €60 to Surat Thani. 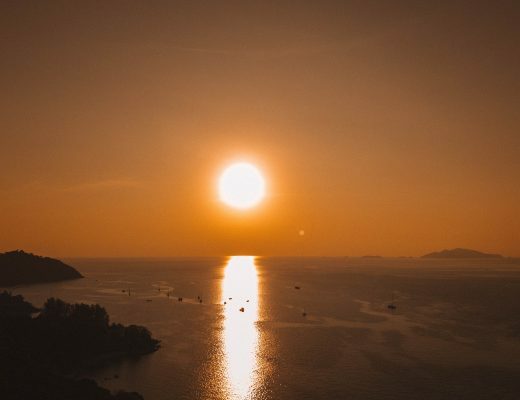 Krabi and Phuket remain your other options. After landing you can immediately have a connecting ride to Khao Sok, but then you have to take into account that you need a morning flight. Furthermore, this connection is not that easy. We chose to spend a night and day in Surat Thani. An almost forgotten city that is used by backpackers as a transit zone. I recommend you to book a night here and slow down your travel pace a bit. Overnight stays here are very cheap! Realisticly speaking, train and bus options are gone here. You can, but this will cost you travel hours or even days. From these three places you’re in prime position to reach Khao Sok. Each time you consequently need a minibus to reach the national park. Departing from Surat Thani sets you back 200 baht per person by public transport. Don’t let yourself be hustled here. They tried to sell us a ticket at 400 baht per person. When you take the drive to Khao Sok, you realize that you’re quite isolated. 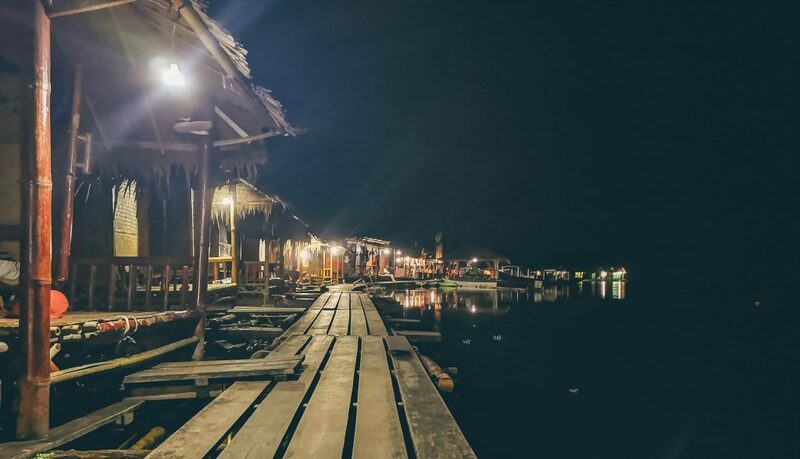 Khao Sok is very small and the accommodations are limited. Yet you will find every kind of accommodation from cheap and basic to expensive and luxurious. We stayed for only 4 (!) euros per night in Secret Hostel Khao Sok. You had your basic facilities and the space was very clean and very hygienic. You do sleep in a shared room with 8 bunk beds, but we had no complaint about this hostel. For the somewhat financially more powerful person there is a nice hotel that rents out luxurious tree houses. You spend €40 per night, but you wake up looking out over the Khao Sok National Park! 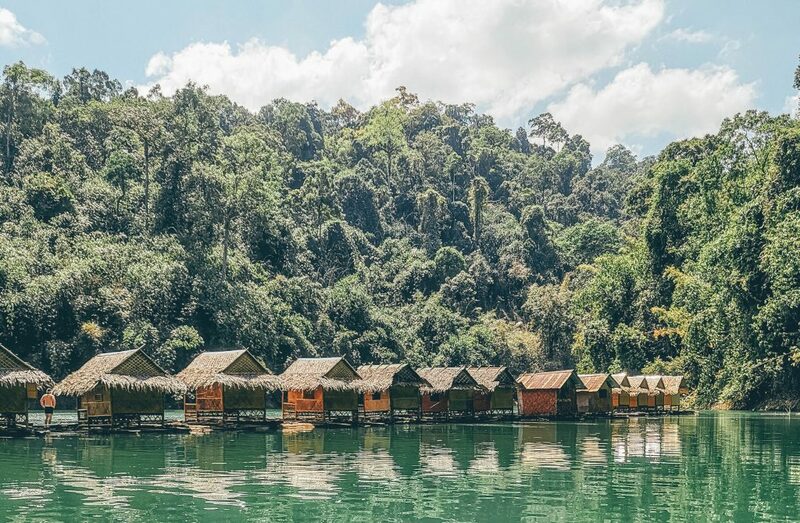 There are people who venture to explore Khao Sok National Park independently, but the park is so immense that you only see a fraction of what it has to offer. You can only really see the beauty when you stay around Khao Sok Lake, which is several kilometres from the park entrance. Your best option is to book a tour. The most booked tours are the daytours, the tour with one night or the tour with two nights. We had the tour with one night. All tours, of all organizations offer the ‘floating bungalows‘. Don’t get hustled for the more luxurious bungalows. We passed three different bungalow villages and they all looked the same: basic. From Secret Hostel Khao Sok, we could immediately book a tour for 2280 baht (€63). This does not include the entrance to the National Park which costs 300 baht (€11) per person. We had done our homework and visited many places and the average price for a two-day tour is 2500 baht (excluding entrance fee). A Petzl is vital! At night the lights go out at 10pm and the only light you have left is the moonlight. A visit to the toilet after 10 p.m. can be fatal. The tour also includes a cave visit that proved impossible without a good flashlight. Later more about that. A microfibre towel that takes up little space in your backpack. You can swim in the gigantic Khao Sok Lake, but you don’t want to get out of the water half an hour in advance because your towel still needs to dry. A good pair of water shoes or walking sandals. I survived the walks on flip flops and Nikes, but in a (smarter) parallel universe I would have gone for these two options. Both the cave walk and the walks in nature can be very slippery. Be aware! Don’t forget to bring a waterproof backpack. I changed my carry-on for a large waterproof backpack of Your Dew. It’s a Belgian start-up that makes the only beautiful waterproof backpack in the world! If you use the discount code NickG5, you get a 5% discount! To create beautiful pictures you have to rely on gear that can take a beating. 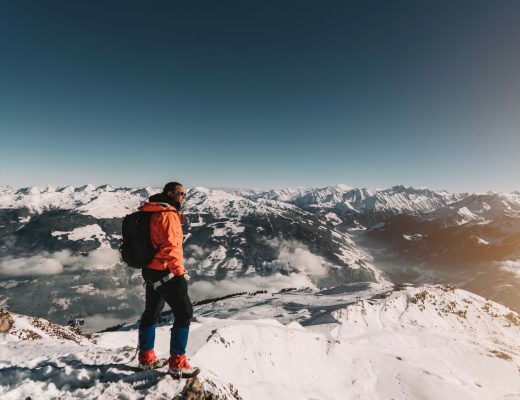 I left my camera and drone and only had my Huawei Mate20Pro and GoPro Hero 6 with me. Afterwards I regretted not flying with the drone, because the Limestone Cliffs were beautiful! A clean set of clothes. Includes swimming shorts, walking shoes, shorts and t-shirt. Protect yourself from insects. Byebugz is a Belgian company that makes bracelets for this purpose. Moreover, you also need deet to make your sleeping place insect free. Buy your deet abroad, they’re stronger and cheaper than what you can find in Belgium. On top of that you have no electricity here. So all your fancy gear will have to last two full days. One way not to worry about this is to bring a solar panel. This accessory hardly takes up any space and works very well. During your swimming hours in the lake you can easily charge your smartphone, GoPro and other USB devices! Travel blogs are always created through pink color glasses. I try to make sure that you also get the other side of the coin. This time it’s no different. You’re seated for a long time on a longtail boat. These boats are anything but comfortable. Sit on the front of the boat! The tour starts with a ride on the dam lake and gradually you reach the heart of Khao Sok National Park. The view is spectacular and more than half of the tourists had run out of battery before we arrived at our bungalows. So be careful with taking pictures. The ride takes an hour including a small stop with a warm welcome from the locals with refreshments and drinks. Again the view is amazingly beautiful. Upon arrival at the ‘floating bungalows‘ there is some spare time. You can check in to your bungalow and enjoy a refreshing dip in the lake. Rest assured, this part is nicely fenced so you don’t have to deal with deadly lake monsters. Most floating villages have kayaks. 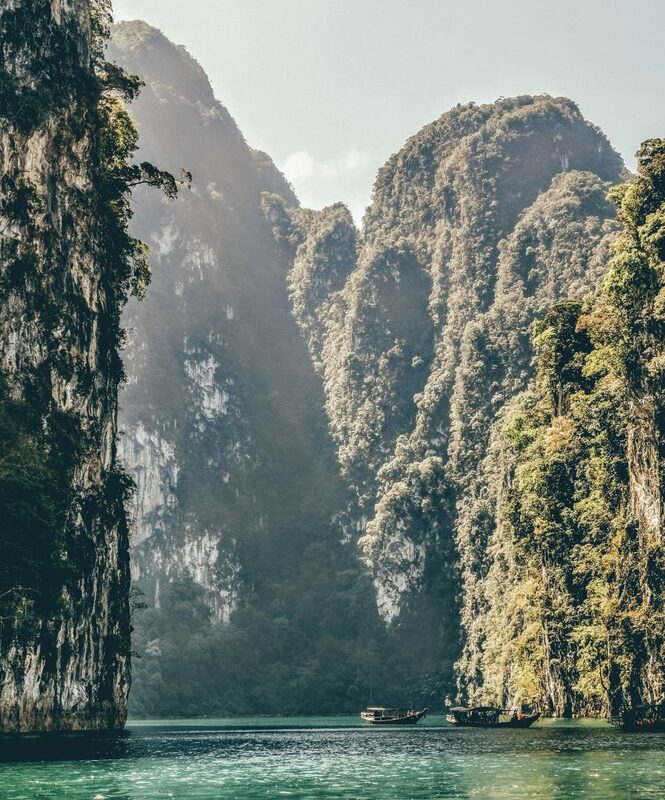 It’s a must to take a trip with your partner or friend and enjoy the unparalleled peace and mystic that Khao Sok National Park has to offer. Afterwards, a hike is made in one of the oldest jungles in the world. It concludes with a walk in a cave where you’ll have to swim to survive. For us this was a pleasant surprise. You imagine yourself being Indiana Jones for a moment when you do circus maneuvers to leave the cave safely. At the end of day one you take the longtail boat for a one hour spin. 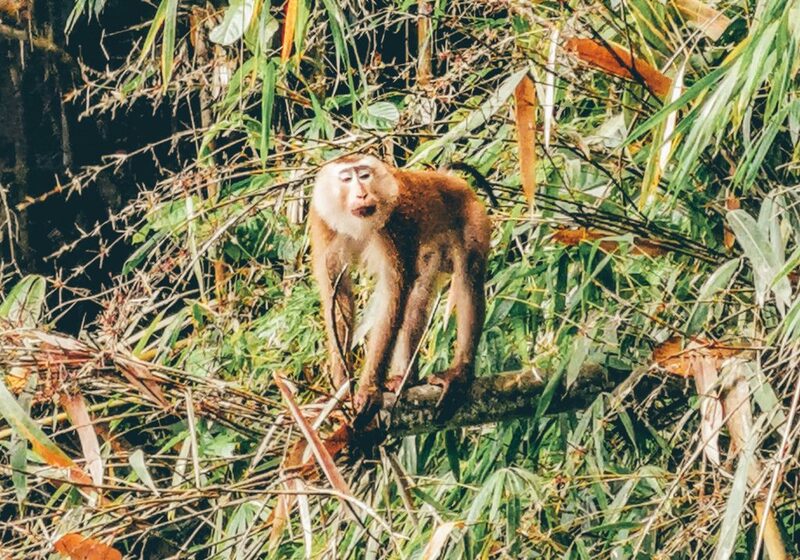 You’ll experience the sunset in the jungle and you will undoubtedly see monkeys and birds (large and small) in their natural habitat. You’ll spend the evening with other tourists enjoying a nice red curry. Finally at your bungalow, lay down and stare at the stars. Let the songs of nature take you away while you admire the entire galaxy. This experience will undoubtedly last your entire life! Getting up in the morning glory of the jungle is not something you do every day. Be quick to be the first to see the cloud of vapour hanging above the lake. Also take the time to realize where you are and with whom you share this experience with. This time the boat takes you to admire the sunrise. The absolute peace and quiet you experience while floating over the cloud of fog is another highlight! First of all you begin by eating a giant pancake to start your day. After that you check out your bungalow and set sail to the next cave. This time not as spectacular as the day before. Slightly disappointed we left the cave, but outside there was a beautiful view that turned our frown into a smile. The limestone cliffs are really high here, so keep your camera at bay. Day two ends around noon, but you do this in style. You sail between the biggest and most impressive cliffs of all. The tour guide turns off the engine of the longtail boat so you can enjoy the highlight of Khao Sok National Park. As the icing on the cake, an ice cream boat is somewhere around, offering you a scoop of ice cream at a competitive price. A bit absurd, but nevertheless a remarkable experience! After you’ve taken your ‘moneyshots’ of Khao Sok you motor back to the dam. 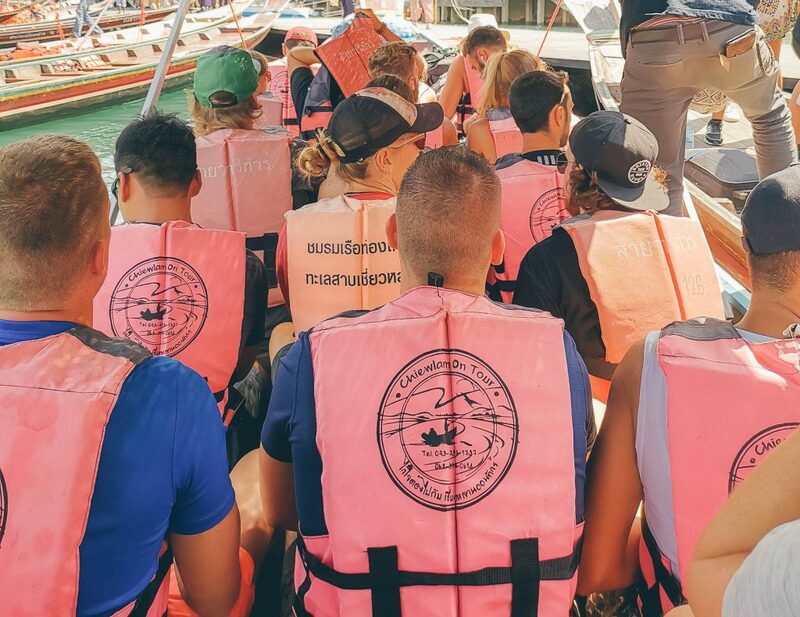 Lifejackets will be handed in and after that you’ll be taken back to your van and your Khao Sok National Park tour experience will come to an end. During a stopover on a secluded beach, all excess fruits and drinks get handed out. We enjoyed talking to others here to ask where they came from in Thailand and where they went. After all, you can read all the Lonely Planets and blogs of the world, but nothing is better than having a conversation with a fellow backpacker! To know more about Thailand, the backpack country par excellence, you can go to the general page. Here you will find all information about the hotspots and more!